This entry was posted in champagne, done with dinner, fresh start, North Carolina, single mom, sparkling wine, Uncategorized, wine and tagged bless your heart, champagne, Cook, Corn, done with dnner, Food and Drink, Fruit and Vegetable, grit, grits, gruet brut, Home, Maize, my cousin vinny, Shopping, Tipton, United States. Bookmark the permalink. Well done. Forget the harlequin novels. You’re a great blogger! But what the heck, why not try both? As ALWAYS, FANTASTIC!! When I saw the new post in my e-mails this morning, I pushed my piles of time cards aside, and with my cup of coffee in hand and read the latest new letter from unWineD! it’s like having coffee with my beautiful amazing friend Tam! 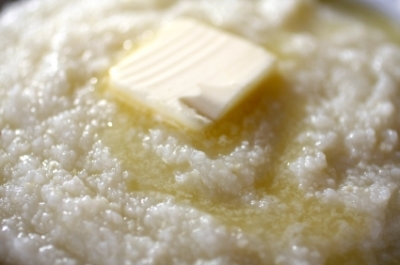 Can you make grits on a George Forman grill? Thank you Rachel! So glad you’re trying them! Hope you enjoy them as much as the girls and I! Add some yummy cheese too. Great scene to reference and overall, this was a hilarious post! Thanks Hook! Hope you try a bowl! Btw, the “never ever” turned into four whole days!